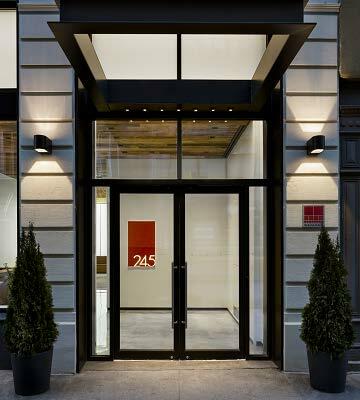 245 & 249 West 17th St. The Investment Property. 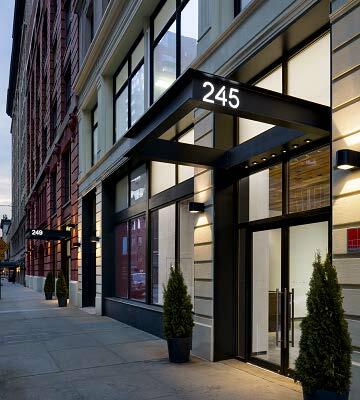 245 and 249 West 17th Street are two adjacent loft-style buildings located between 7th and 8th Avenues, one block from Google’s 111 8th Avenue and a short distance from Chelsea Market and the Meatpacking District. Constructed in 1909, 245 West 17th Street is a 12-story, 140,000 SF office and retail building featuring 12,000 SF floor plates ideal for single or multi-floor tenants. 249 West 17th Street, a 6-story, 145,000 SF office building, was built in 1902 and features 24,000 SF floor plates with exceptional column spacing and 14 foot ceiling heights on the office floors. Both properties feature 17 foot ceiling heights on the ground and basement floors. The Opportunity/Challenge. After acquiring the properties in 2012, Savanna planned to implement an intensive capital improvement program that would completely transform both buildings. The project included a new lobby and security system, water-cooled HVAC systems, new elevators, high-end core bathrooms, and a restored façade and roof. The Strategic Insight. The Chelsea submarket of Midtown South Manhattan is anchored by the technology, advertising, media and information technology sectors. These firms are increasingly leaving traditional space in Midtown for more creative, collaborative space in Midtown South. 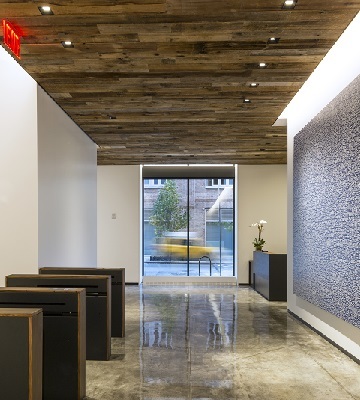 With this market trend in mind, Savanna repositioned 245 & 249 West 17th Street to meet the needs of the modern tenant. Plan Execution. Savanna completed an extensive, combined $29 million dollar capital improvement program to create entirely new infrastructures within the buildings while simultaneously preserving and enhancing the loft-style aesthetic, including original hardwood floors, exposed ceilings and the open-architecture collaborative workspace. The project incorporated several sustainable initiatives, including the installation of a reflective and highly insulating roof, mechanical systems and lighting that will achieve a high level of energy savings, and bathroom and pantry fixtures that will allow for a significant water use reduction. As a result of these efforts, Savanna achieved LEED Gold certification for Core & Shell. Savanna leased space in both buildings to Twitter for their East Coast headquarters.